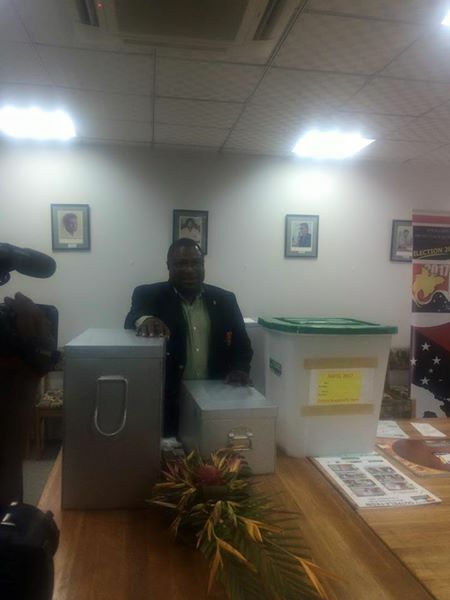 Papua New Guinea Electoral Commissioner Patilias Gamato has confirmed today that for the first time in history the PNG Electoral Commission is printing the ballot papers for the 2017 national general elections overseas. It is understood this will take place in a highly secured facility by the Pura group located in Kudus which is just two hours drive from the Central Java city of Semarang Indonesia. He said that this decision was not made lightly and occurred after a quote from the government printer increased from a former K9million in the last election to K23million for 2017 papers. Mr Gamato further added that the Electoral Commission has confidence in the overseas based printing facility as it is highly secured facility passing evaluation tests. Meanwhile, at this time Mr Gamato said four senior officers of the Electoral Commission including the Deputy Commissioner Corporate Services John Kalamoroh are currently in the Central Java City of Semarang to commence printing.